For most people, it seems almost like an annual ritual during the Singapore Mooncake Festival to visit the Takashimaya Mooncake Fair as you can find all the mooncakes by the different restaurants and hotels there. Be it buying mooncakes, or just hanging around to try the various new mooncakes flavor for 2010, the response to the Takashimaya Mooncake fair is always overwhelming. But if you hate to squeeze with the crowd just for a box of mooncake, go to Raffles City level 3 – there’s a smaller Mooncake fair with 22 participating retailers. 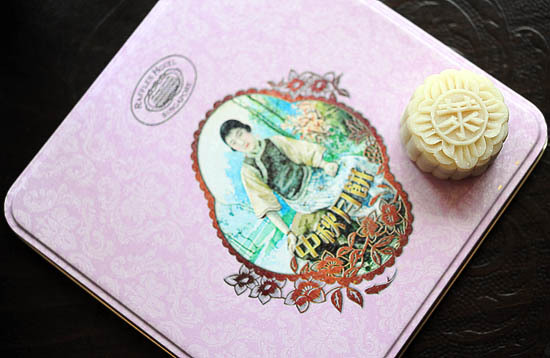 I know this post is kind of late since most newspapers, magazines and food blogs have written on some of the must-try new mooncakes flavors for 2010. Nonetheless, I decided to share a list of the interesting mooncakes flavors that I want to try during the Mooncake Festival 2010. So lets find out which are the best Mooncakes in Singapore 2010. Goodwood Park Hotel has a strong reputation for its durian pastries and desserts, with the durian puff and cake among the most popular items on it’s menu. Naturally, one of the signature mooncake of Goodwood Park Hotel is the D24 Durian Paste Snowskin Mooncakes ($50 for 4 pcs). Their mooncakes are definitely a must-try if you like durian, but please stay 10 feet from me after you have them. I’m not sure about you, but I prefer the traditional baked mooncakes to the snowskin mooncakes. The white lotus seed paste with single yolk ($49 for 4 pcs) from Marriott Hotel may sounds boring, but I think it is exactly what I need for the Mooncake Festival 2010. How many yolks do you like in your baked mooncakes? 52 bucks for a box of 8 ridiculously tiny snowskin mooncakes? I must be mad to pay for this. Tell me again: why am I doing this? Oh, it’s champagne truffle! Right. Everybody knows about the famous Champagne truffle mooncakes from Raffles Hotel. Enough said. Being a fan of the Chinese cuisine at Taste Paradise, I must say I’m quite curious how their mooncakes fare against the more experienced hotels and restaurants. Some of the creations from Paradise Group include: Golden Pomelo, Fragrant Black Sesame, Sweet Custard with Cashew Nuts, and at just $38 for a box of 8, their mooncakes are priced slightly lower than the ones from the hotels. Consumers are a very fickle-minded bunch, and we want novelty. Every year, the chefs from the different hotels and restaurants will think of new creations to satisfy the consumers’ growing demand for different flavors. For the Mooncake festival 2010, The Regent Singapore came up with Baked Ham & Pork Floss with assorted nuts and the Ginger Paste with Pine Nuts snowskin mooncakes. Personally, I feel that it’s really an acquired taste, but by all means go ahead if you are game enough to try the exotic mooncakes. Which are the best mooncakes in Singapore 2010? 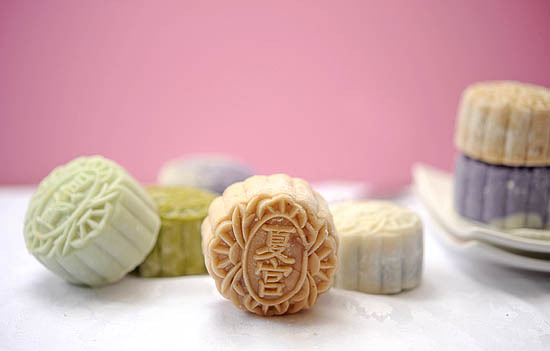 Let us know which mooncakes have you tried, and which are the ones that you are tempted to get! Have a good Mooncake Festival 2010 indulging in all the different mooncakes! Oh no… you don’t like durian… Those who like should got for Home’s durian… the one right at the entrance, black with gold foil on top. Superb. Perhaps, perhaps, better than Goodwood Park’s… But I already have a box of Goodwood Park’s at home. =) Durian is the “champagne truffle” for me. There is a Ginseng at one the booths in the middle. I find it quite good. Well, personally, the mooncakes from Raffles hotel are the best in terms of quality although you definitely can’t keep them for long. Have you tried their other flavours? I love the pink ones with the popping candy. ^^ The mooncakes from Royal China and Conrad (salted egg custard) are not bad too. elizabeth: EH how long can you keep them? i still have about 4 in the fridge! lol! Raffles’Champagne Truffle is just soooooooooooooooooooooooo good. so anything durian doesn’t interest me. Wow, Raffle’s champagne truffle mooncakes r good huh? What hv i been missing all these while…. try durian mooncake from four seasons hotel. Yup, Home Favourite’s durian mooncake is superb! Majestic Hotel’s D24 Durian mooncake is just as good too. I just had one of Raffles Hotel Champagne truffle mooncake yesterday, and IT WAS SOOOOO GOOD!